This campaign will start with the conflicts between the realms of the New World. 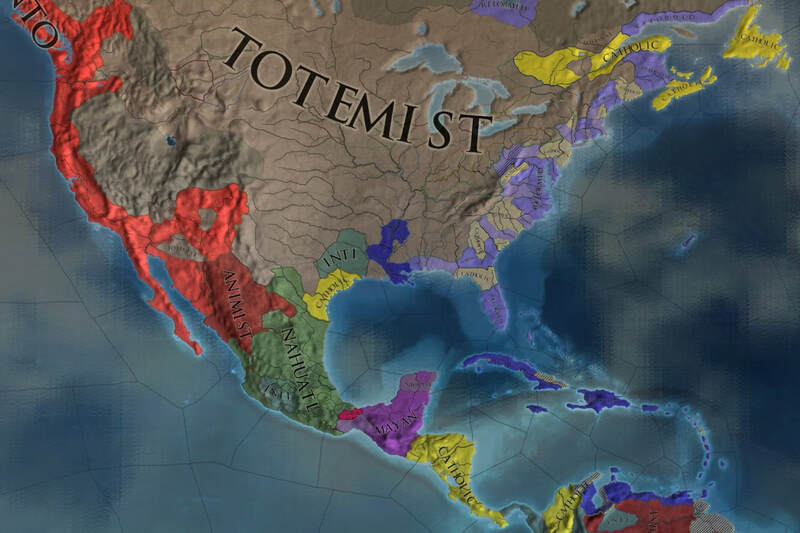 Despite their ignorance of the impending discovery of their lands by the kingdoms of Europe, these nations have only a short time to consolidate, prepare, and reform their societies before they are swept away by the winds of change. Unfortunately, most of these nations will be sacrificed upon the alter of progress as they compete to unify their cultures and revolutionize their societies. Even those who survive this process will experience no relief in their fight for survival, for the ghosts of the defeated will be given opportunity to exact repayment in blood. 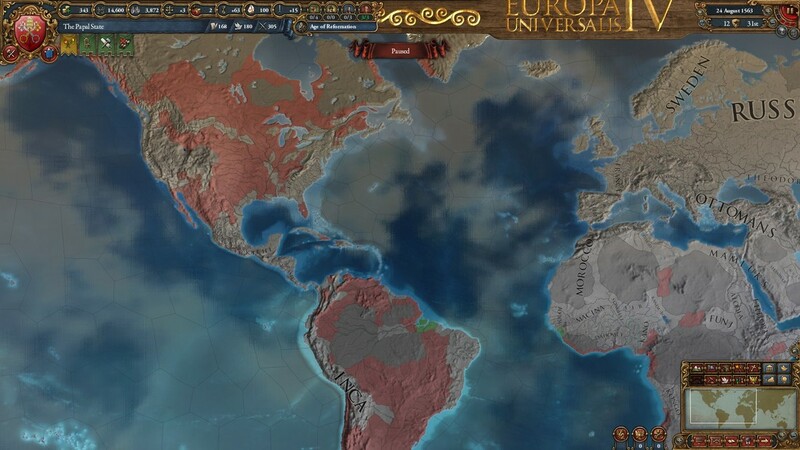 Their vengeance will arrive by ship, in the form of the ambitious colonial nations from across the Atlantic. 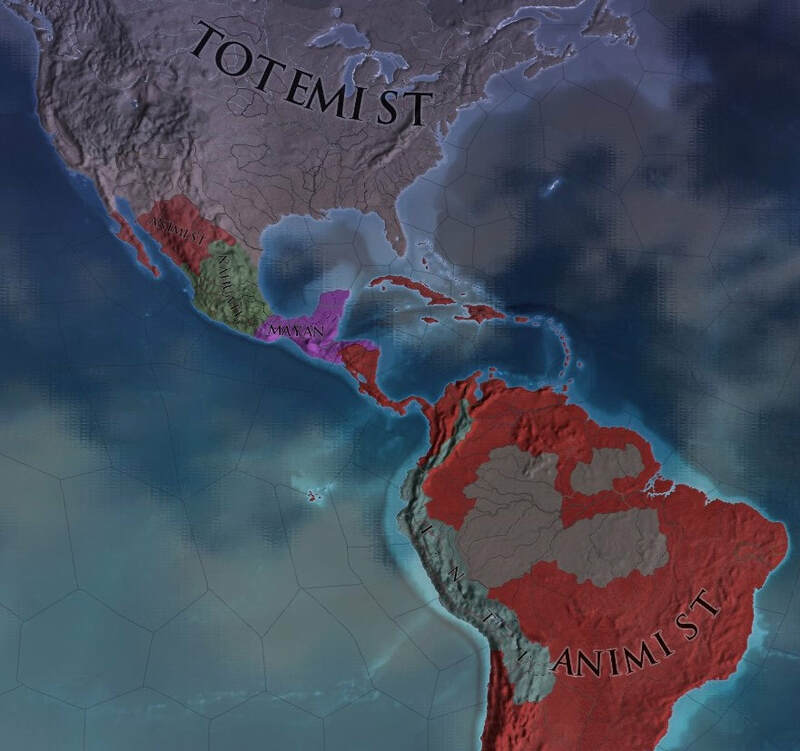 Beset and outmatched by these newcomers, the peoples of the New World are doomed to be pushed aside unless they learn and adapt. Only by unprecedented reformation of their governments and cultures can they hope to compete, but fortunately these invaders are not unified themselves. The new arrivals must contend more with each other than with those they found here, and this incohesion might allow for the survival and prosperity of the native nations. 1. Victory cards are active in order to encourage realistic "shifting alliances" and other Machiavellian backstabbery, and to penalize being inordinately friendly with those you share a border with. Victory cards will only appear for a player if they reach at least 300 total development. If the territory dictated by a card is captured it will reward the player with an immediate boost in points (1000, 2000, 3000, or 4000 points) and provide 1 additional point per month it is held. Inversely, if a player's victory card includes land formerly controlled by another player, the previous owner will receive a negative modifier equal to half the value of the victory card and will have 1 point deducted from their score per month that the victory card is held. Therefore every player's top priorities should be to ensure that no victory cards are taken from their own territory, followed by capturing as many victory cards as possible and denying all cards to other players. Victory cards that appear on protected areas will be randomly reassigned at the end of the session. 2. 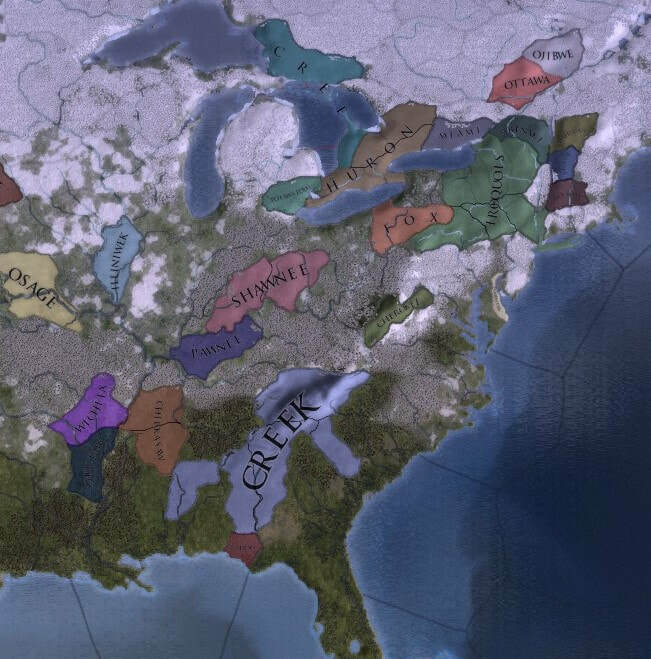 Due to the nature of native american reforms there will not be protected areas for factions in this campaign. Player elimination will be expected and players will be able to return as European powers as explained below. 3. During their first missed session, other players may not attack the absent player's nation, and may not demand any peace terms from their nation if they find themselves at war by other means. Absent players' nations are not protected in further missed sessions and players cannot take advantage of protection after the year 1750 regardless. 4. 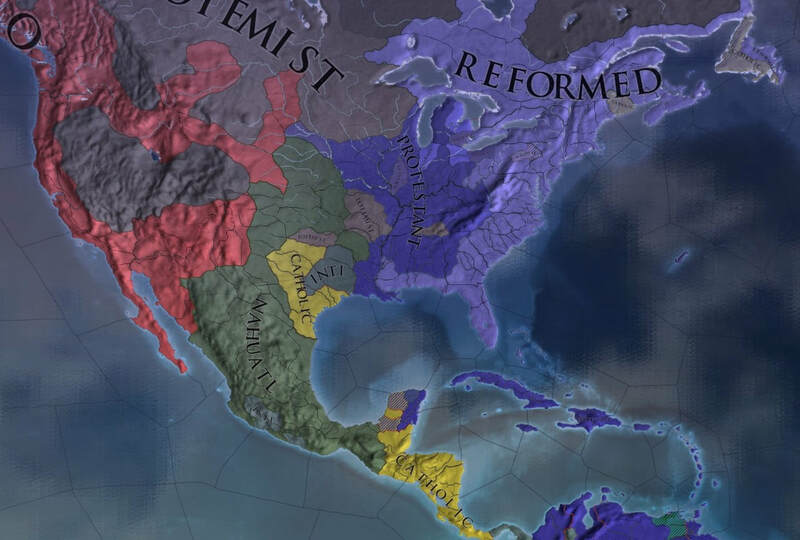 If a player's nation is eliminated, that player is must return as any nation with a capital outside of the New World at the beginning of the next session. If the nation selected does not already have Exploration ideas, the player taking control may choose to replace one idea chain of his choice with Exploration before the next session. The number of completed ideas in the chain will be matched. 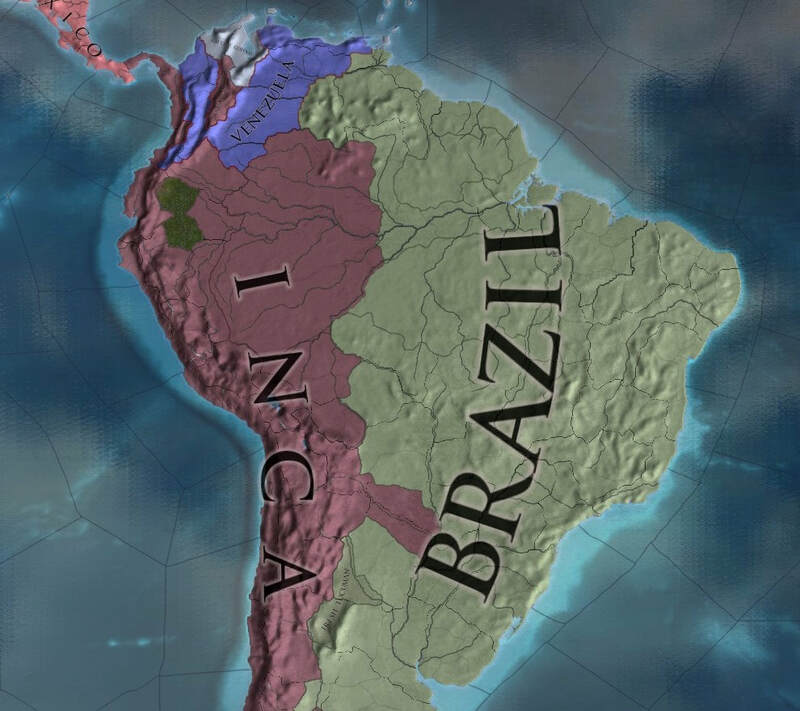 While a player controls a nation with a capital outside the New World, his score will be 0 and he is not allowed to declare wars or enforce peace, but may join wars as normal. 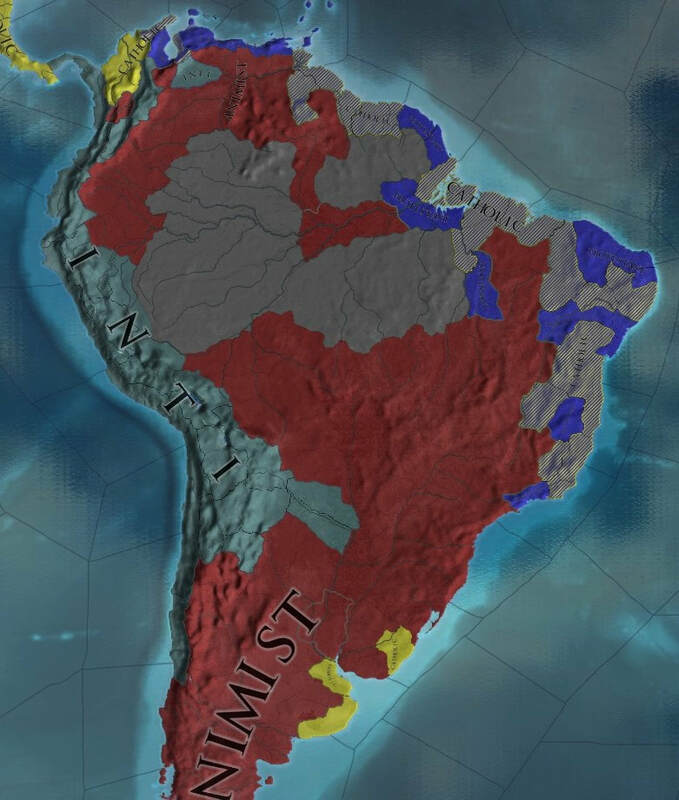 They may not diplomatically release subjects for any reason and may not release subjects in any war with more than -50% warscore. ​5. 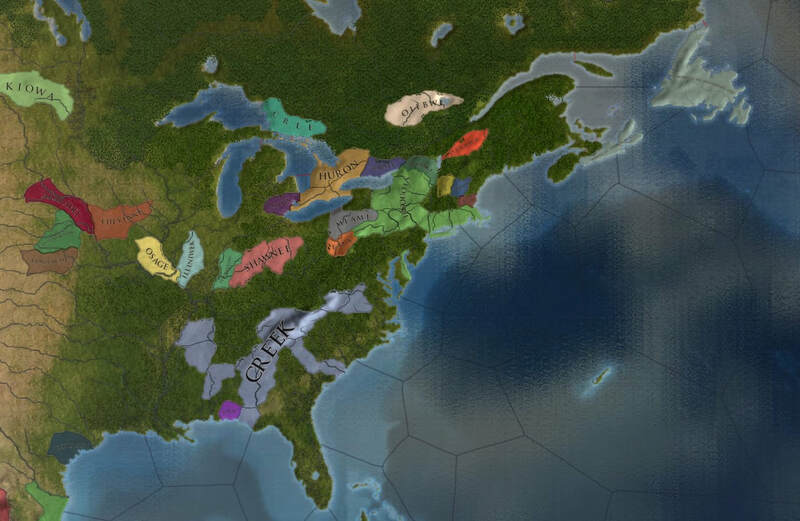 At the start of any session, the player must take control of a Colonial Nation he has created in the New World if there is one. Colonial Nations already owned by his nation when he assumed its control are ignored for this purpose. 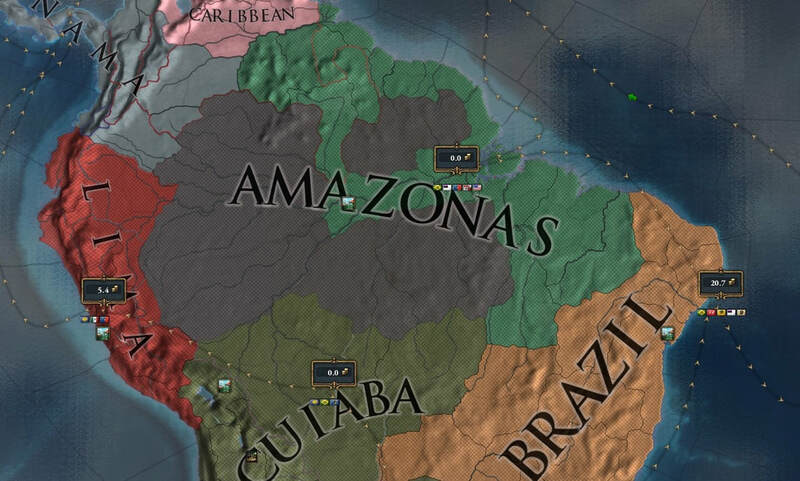 The player can only take control of a Colonial Nation that formed under his control. Following these rules, whenever a player creates a Colonial Nation, he will have until the end of that session to help his colony further expand, build structures for the colony, or donate ships/funds, and at the start of the next session he must assume control of the colony. 6. The treasury/debt, monarch points, inflation, war exhaustion, etc. 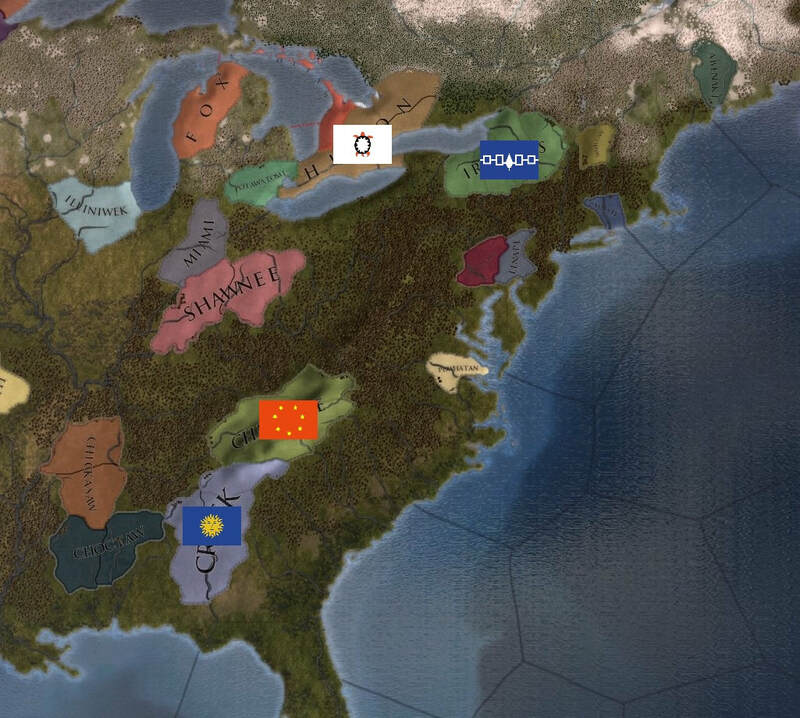 of the parent nation will be transferred to the colonial nation chosen by the player and the parent nation will have all debt, inflation, war exhaustion removed, all wars dropped by a white peace, and their treasury and monarch points reset to 200 each (to prevent purposeful ruining of the parent nation). 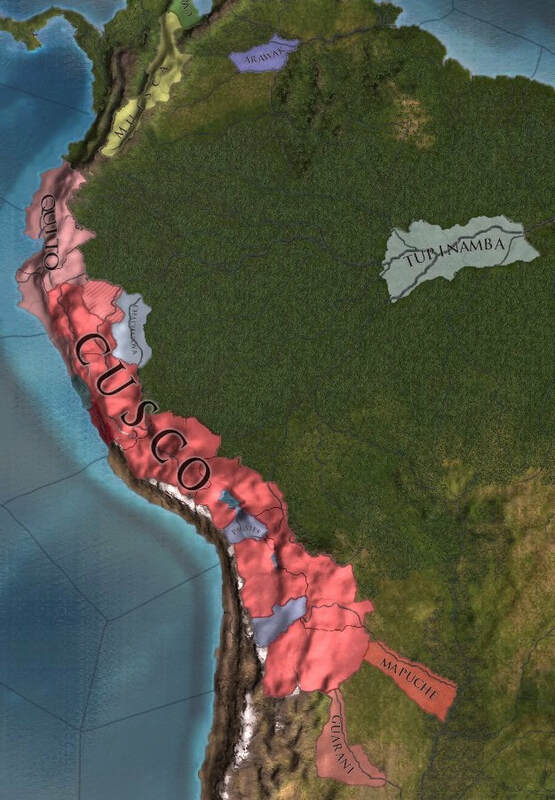 The colonial nation will be given -1 stability and -20 prestige for each disloyal estate or subject at the time of transfer. 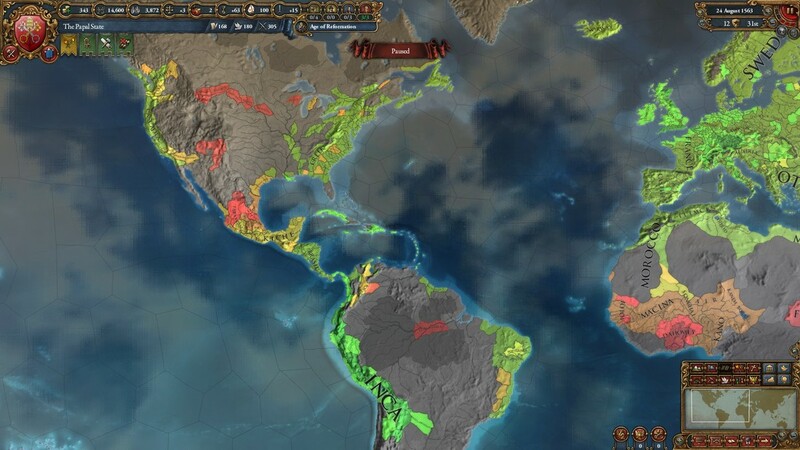 A player controlling a colonial nation will once again be able to score as normal and declare wars. 7. 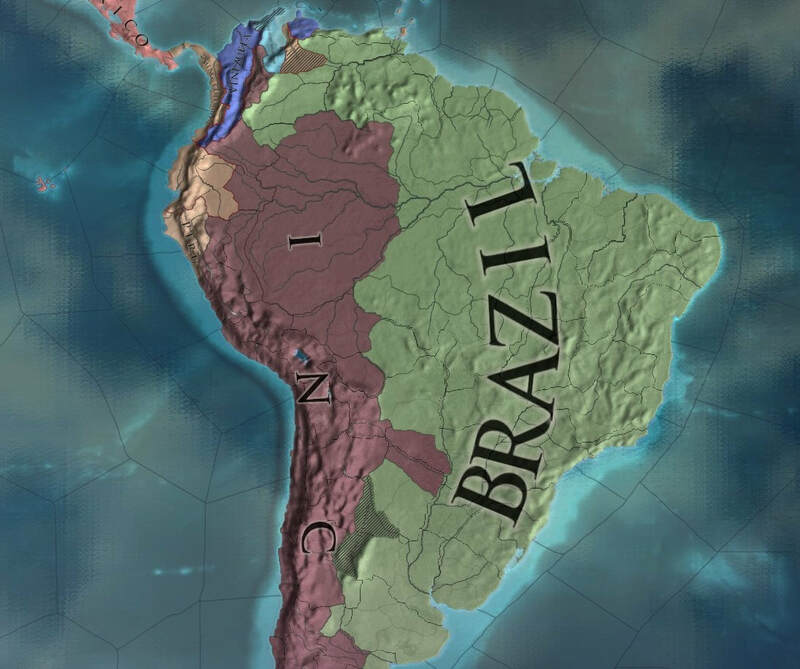 Colonial nations that do not possess names that meet the host's arbitrary immersion criteria will be changed to the colony's default name at the start of the next session. 8. 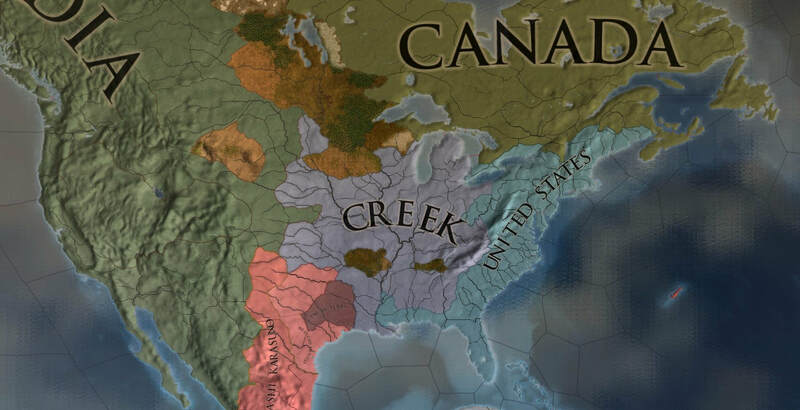 Parent nations that have been abandoned are open to being chosen by new displaced players. 9. 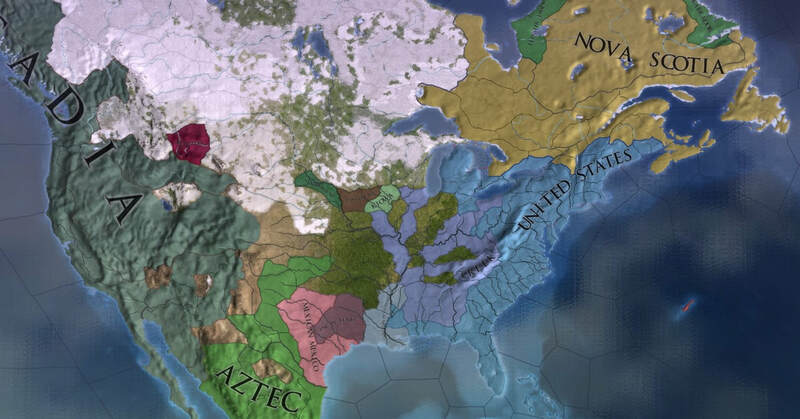 At the end of a session, any player can choose to forfeit his nation to assume control of a nation outside of the New World just as if he has been eliminated. The player must have played the nation for at least one session before it can be forfeited. 10. If multiple players are eliminated in a session, they will be allowed to choose their reincarnations in the reverse order of elimination. Players that voluntarily forfeit their native tribe may choose before those who are eliminated and can choose in order of highest number of provinces (with total development as a tie-breaker) at the end of the session. 11. 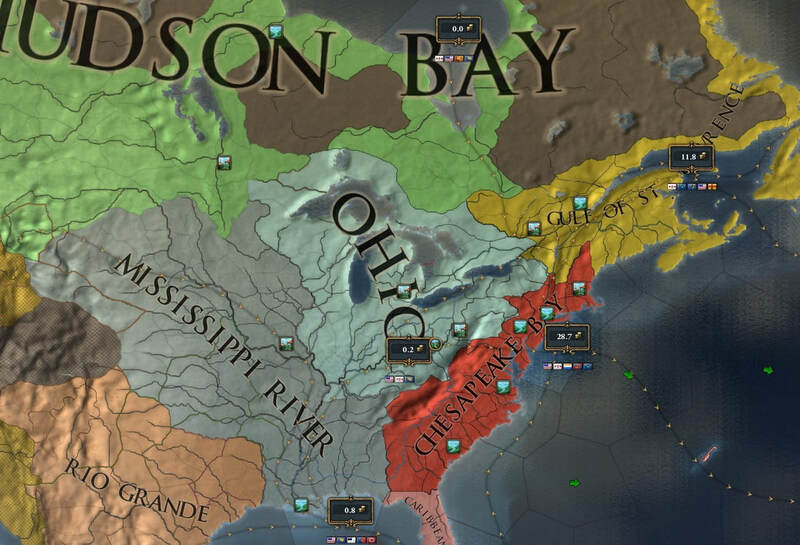 As long as it does not conflict with any of the above rules, a player may use the vassal release mechanics to switch to playing a released vassal. 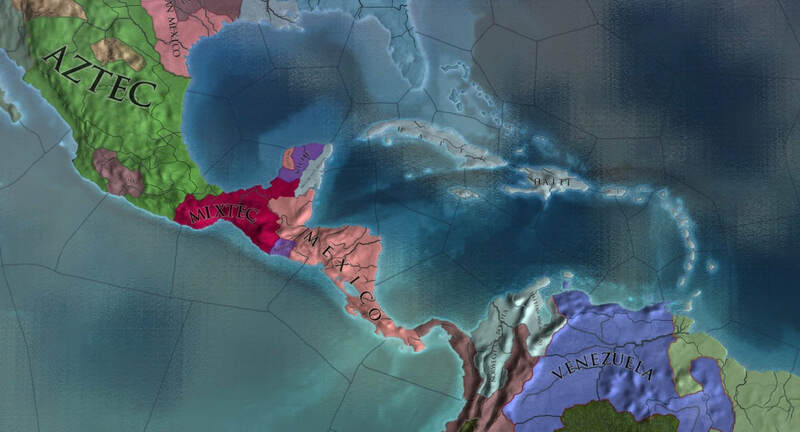 Similarly, a player may switch to playing one of their subject colonial nations or a vassal at the start of a session. This decision will likely change the player's capital area, and cannot be taken if it would cause any overlap with another player's capital area. This decision cannot be reversed. 12. 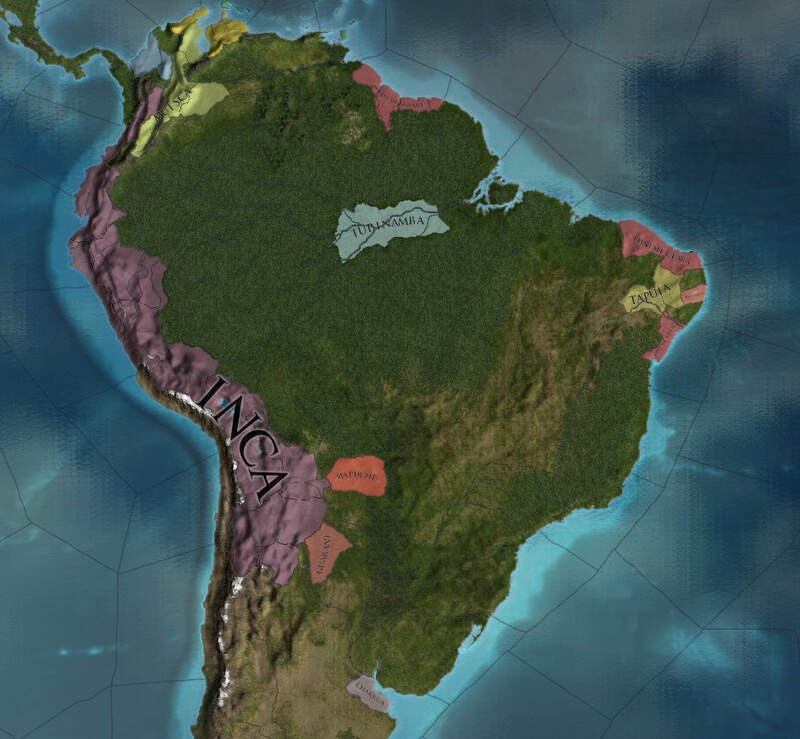 In order to encourage more frequent, shorter wars that do not devolve into world-spanning conflicts, we will be experimenting with the 30% Rule in this campaign. 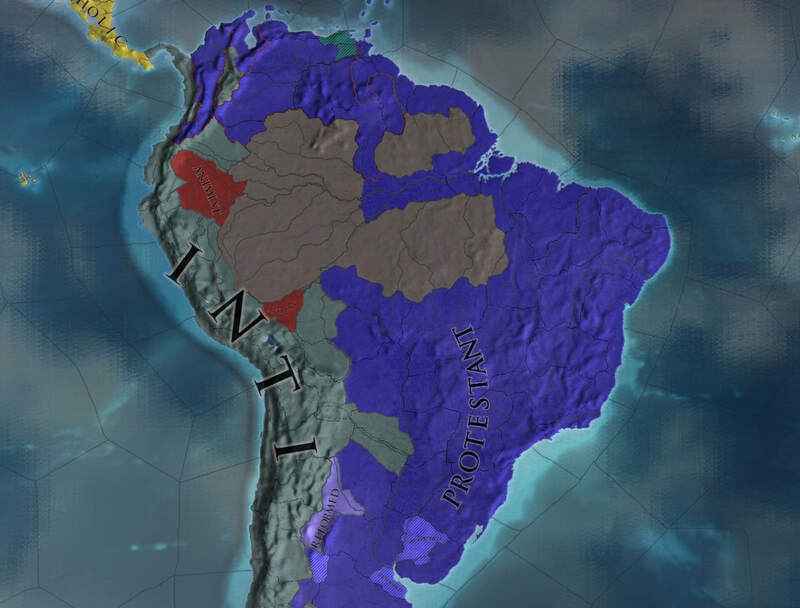 At any point in a war that the primary aggressor/defender has 30% or more war-score, they may send a peace treaty demanding the annexation of one province that they occupy, that is owned by the primary defender/aggressor, and that they share a border with by land or sea, and this peace treaty cannot be refused. 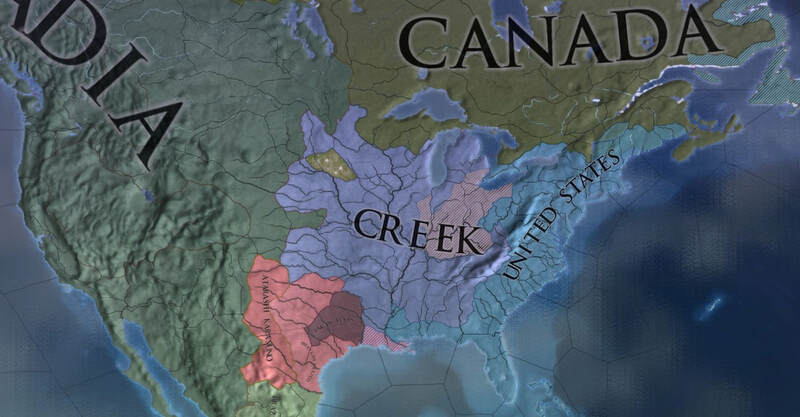 To be unrefusable, the treaty must contain no other conditions except the annexation of the single province and the province must not be a nation's capital. 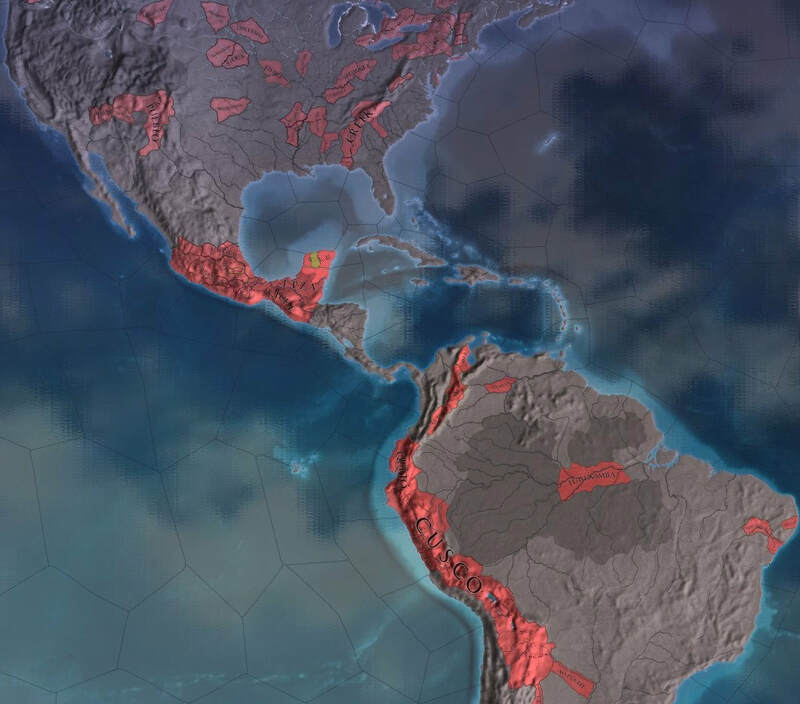 The sending player may pause the game for this treaty, so that the war-score will not change and the rule can be enforced. - The top score from each tier will receive a prize with the first tier having first choice and ascending from there. If all players are eliminated from a bracket, the last member of that bracket to be eliminated wins and is ineligible for other prizes. 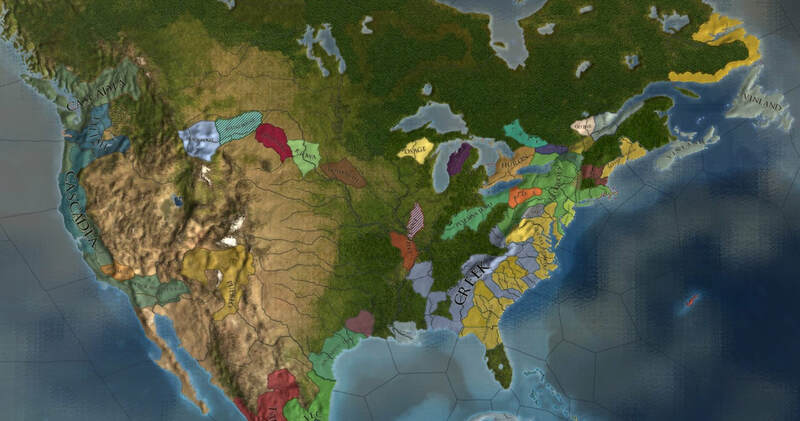 - A player who changes nations will not remain in his tier unless the new nation was one of the player's vassals or colonial nations. Changing to any other nation will place the player in the lowest prize bracket. This rule can be superseded by campaign specific rules. - Nation selection in a future campaign will go in order of final score ranking in this campaign, except those who received prizes will pick last (in order of final score). The nations available are listed below, in order of most desirable starting conditions within each grouping. The declining Mayan society is in dire need of an active and revitalizing leader. 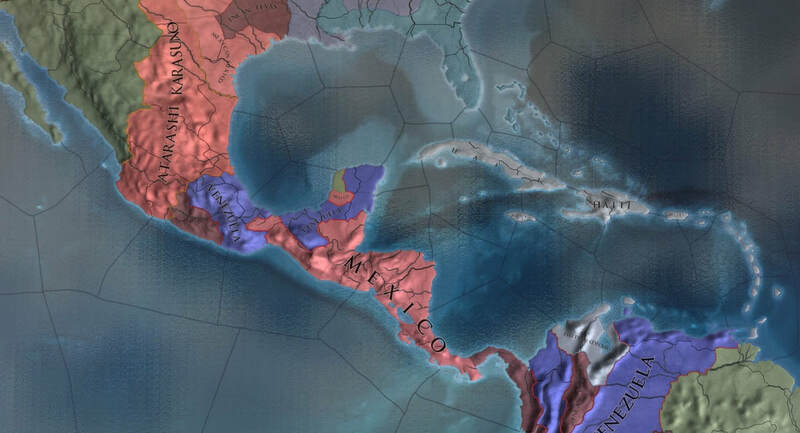 The Mayans are now fractured into decadent factions, warring over the scraps of an innovative and vibrant empire, but what was once their ancestor's realm could be created again. Any leader that can defeat and annex the majority of their neighbors will be able to reform their society, slowly and painfully pushing his people out of their stagnant Dark Age. 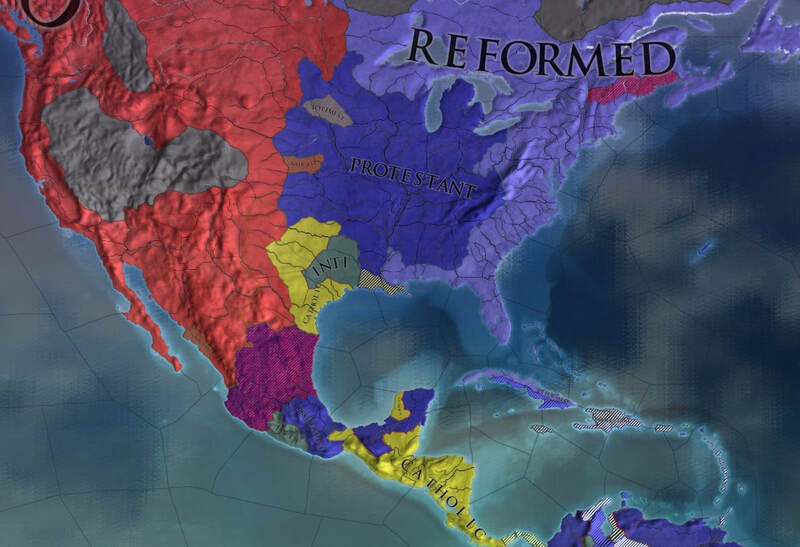 Every reform will come at the cost of immediate chaos and rejection, but the progressive Mayan ruler must move quickly to prepare his people for the future. The priests have received ominous portents of the world's demise. The events they promise will sweep the Mayans from the political landscape if they do not act now to prepare their people. 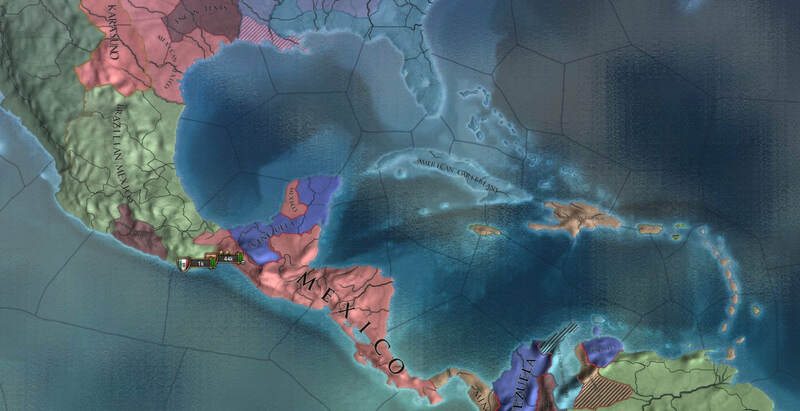 - For a Mayan nation to pass a reform, they will need to be at peace, have no rebel-controlled provinces, no overextension, positive stability, and own at least 20 provinces. 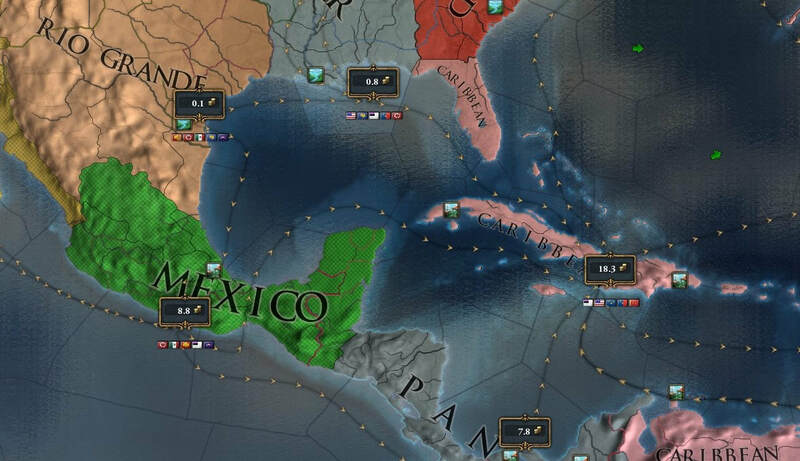 - Upon passing a reform, a Mayan state will lose cores by releasing nations or giving provinces to existing nations, shrinking to a size of 10 provinces + 2 provinces per already passed reform. 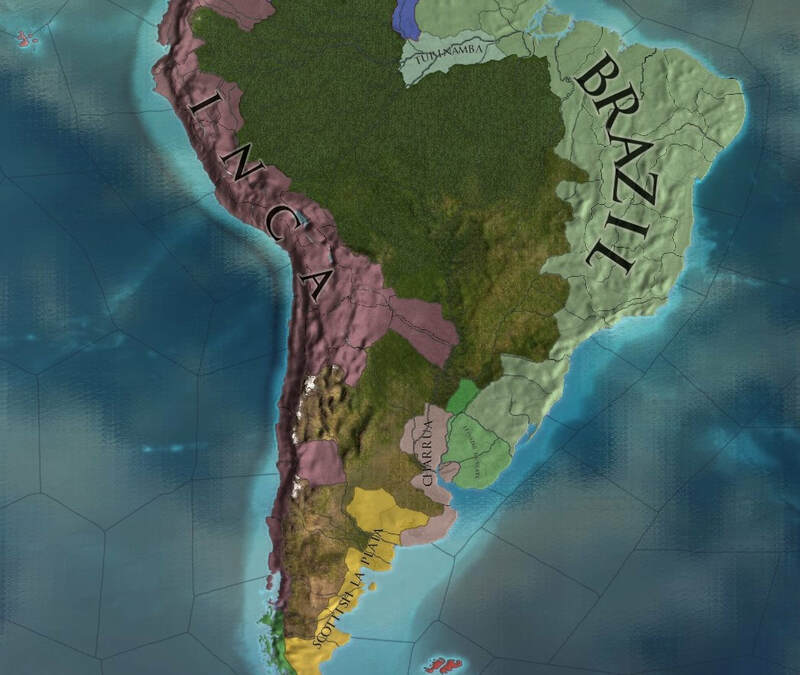 Exact provinces released are determined by culture, religion and distance to capital. ​- When the last reform is passed and the country borders a nation that has embraced Feudalism, it will be able to reform the religion, gaining 80% of their neighbors technology level, all their institutions and gaining the permanent benefit of the religious reforms. With a pantheon and traditions similar to that of the Mayan, the religion of Nahuatl is infamous for a violent culture, revolving around sacrifice and looming apocalypse, that produces fierce and fearless warriors. Their rulers are expected to prevent doomsday by offering the blood of captives and fellow kings to the gods, or they will be forced to offer their own if omens or fortune turn against them. 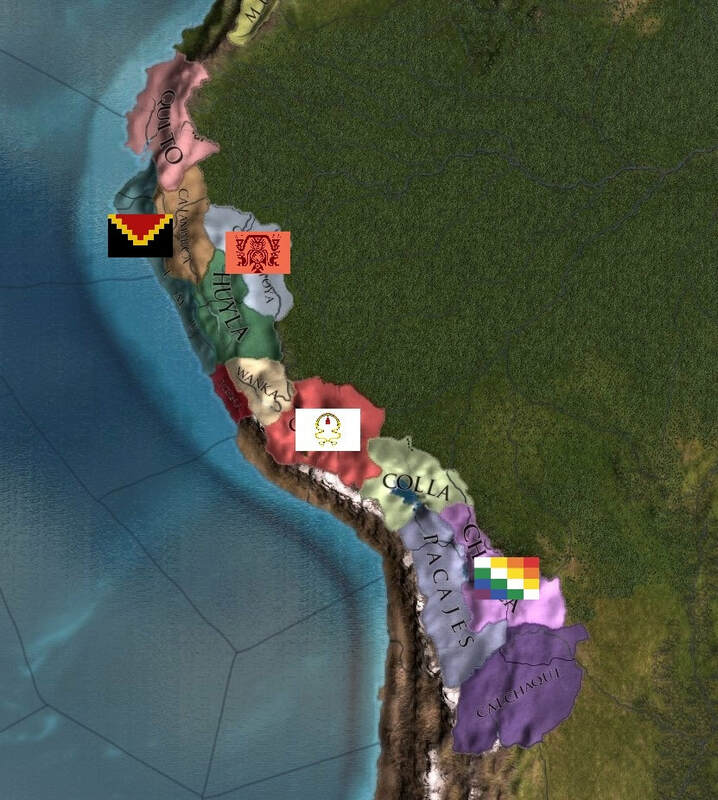 By dominating their neighboring tribes through vassalization in the oncoming Flower Wars, a Nahuatl ruler can consolidate enough power to press revolutionary reforms upon his people that will better prepare them for centralized governance. 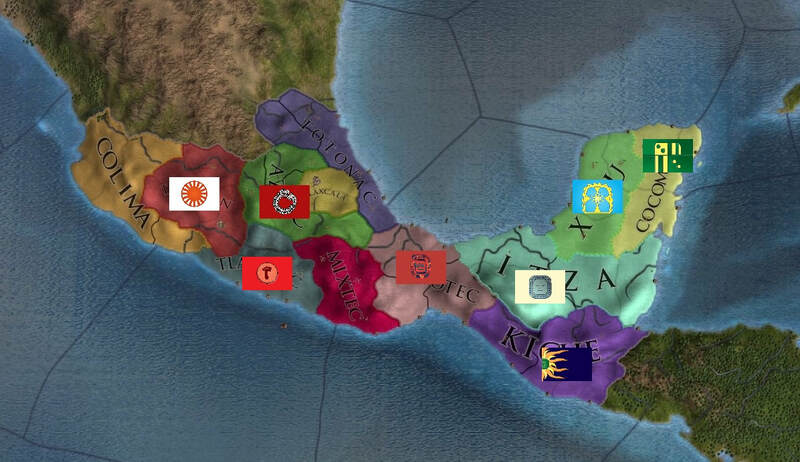 The ensuing chaos from these reforms will allow a rulers subjects to break from his control, and he will be forced to repeatedly exhibit the military prowess of his City-State (Altepetl). Unfortunately, time is not an ally in this endeavor and the valuable trade goods of the region are sure to attract European attentions. - Each Nahuatl state has a ticking Doom value that increases every year at a base rate of one Doom per owned province. High Doom increases technology costs and idea costs and should the value ever reach 100 the Nahuatl state will be forced into taking drastic measures to avert Doomsday. The ruling family will be sacrificed, killing the ruling monarch and heir and replacing them with a 0/0/0 ruler. In addition, all of the country's monarch power is lost and any and all subject states break away as the nation descends into chaos. As if that wasn’t enough, if the doomed state has gained any religious reforms, up to two of these will be lost. - Occupying provinces and winning battles will result in Doom being reduced as they secure captives to send to the gods. 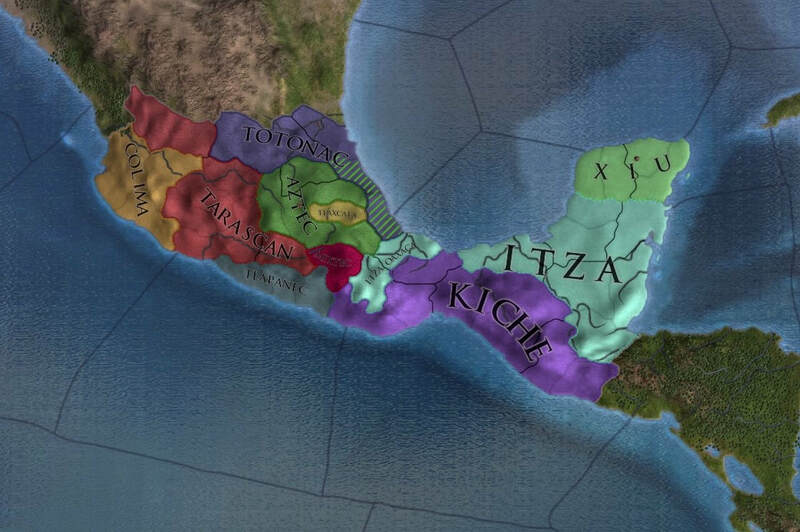 A Nahuatl state can also sacrifice ruling monarchs and adult heirs in their vassal states. - Enacting a reform requires having at least 5 vassal states, no rebel-controlled provinces, positive stability, and less than 50 Doom. 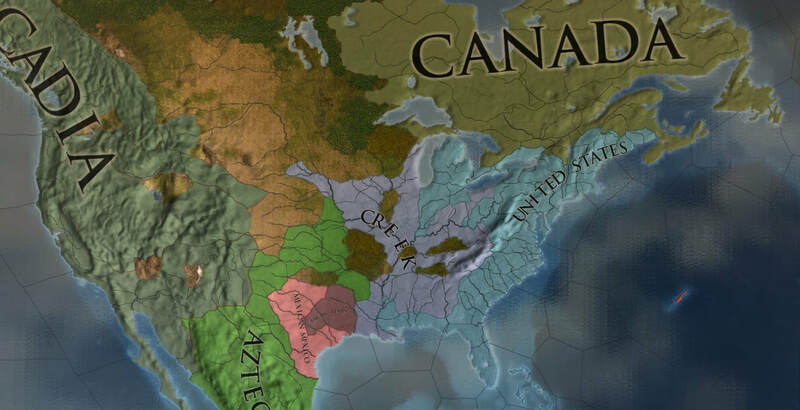 When enacted, Doom will increase by 25, stability drops by 1, and all subject states will declare independence (which creates a one-way truce), forcing the country to go to war to bring them back into the fold. Each reform decreases the rate at which the country accumulates Doom by 20% from the base rate. 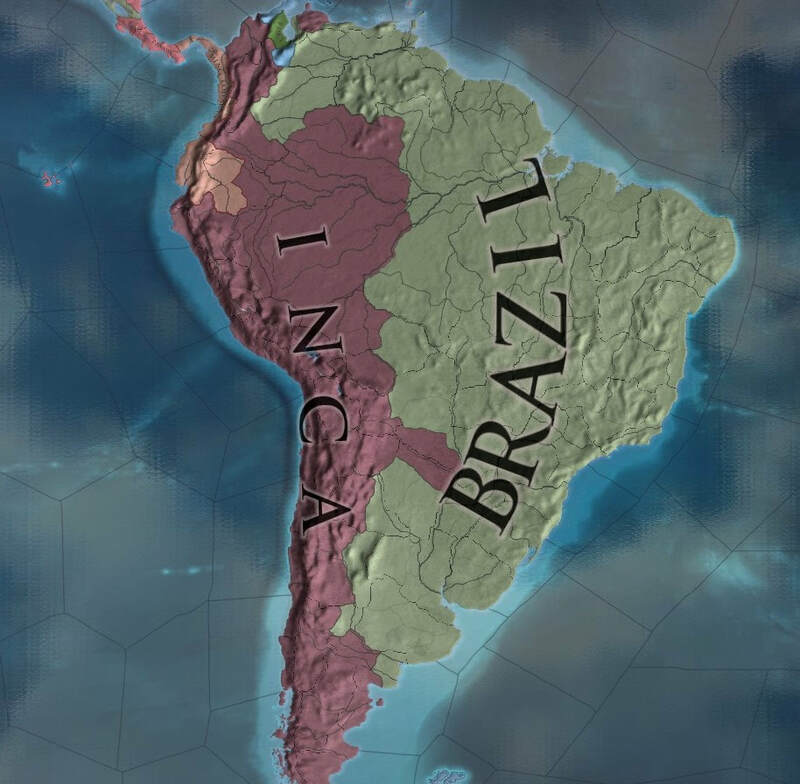 In the south, the Andes host a vibrant civilization of competing peoples within its fertile valleys. As any ruler expands his control over the realms, his reign will be seen to be blessed with a divine right that will allow him to claim the authority of Inti, the sun-god. 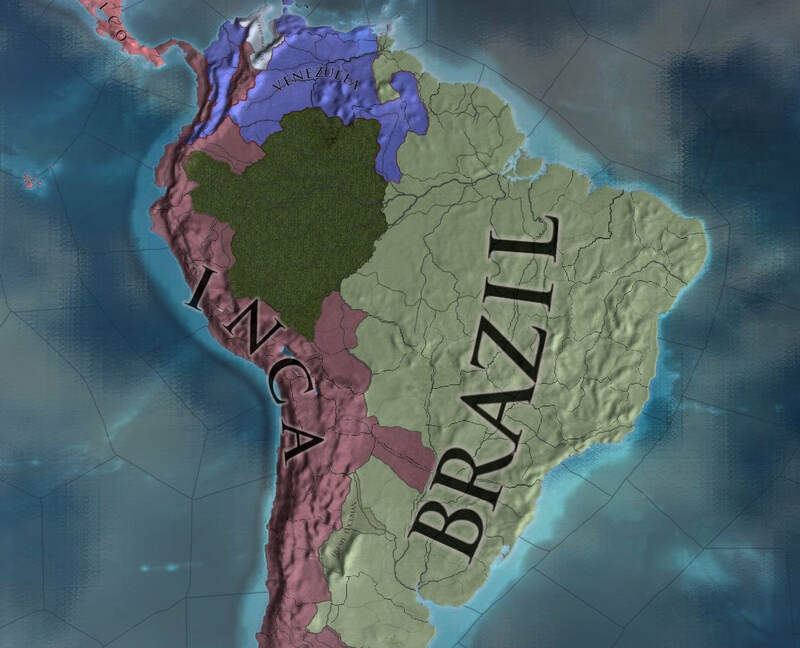 This authority will give the ruler the opportunity to reform the Incan religion and bring them one step closer to the centralized institutions of the Europeans. Reforms are always resisted however, and each one will provoke a powerful rebellion, challenging the rule of Inti's rightful avatar in the mortal world. 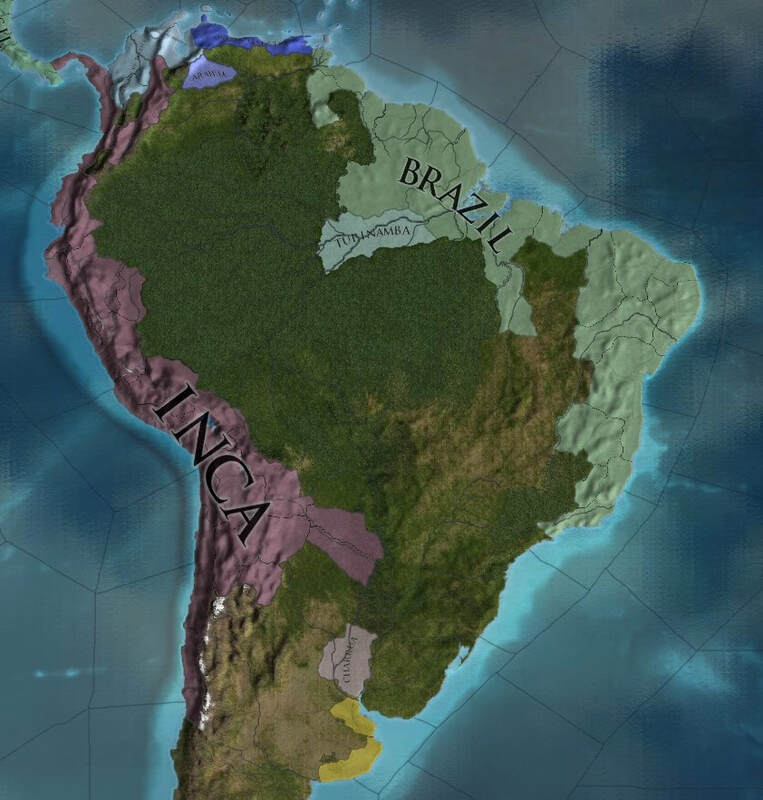 If all the Incan religious reforms can be passed, the Incan people will find themselves well-placed to learn from the European invaders when they arrive to their lands. 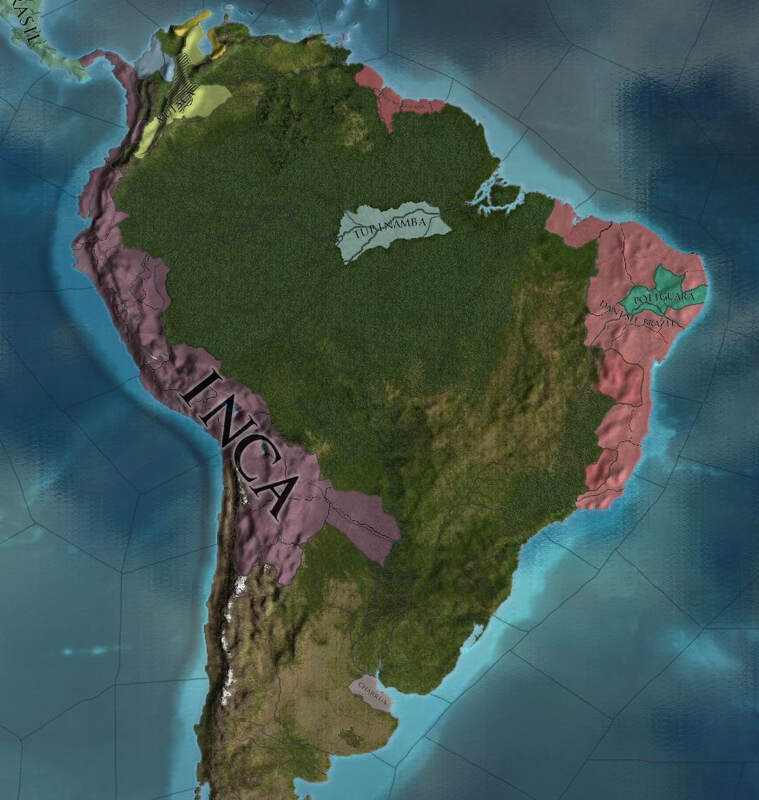 With their heartlands in the rugged and defensible Andes, a centralized and reformed Incan kingdom could mount a significant resistance against European expansionism. - Inti nations have an authority value that goes up from owning vast stretches of territory, and goes down when the autonomy of a province the country owns increases. Authority ranges between 0 and 100. 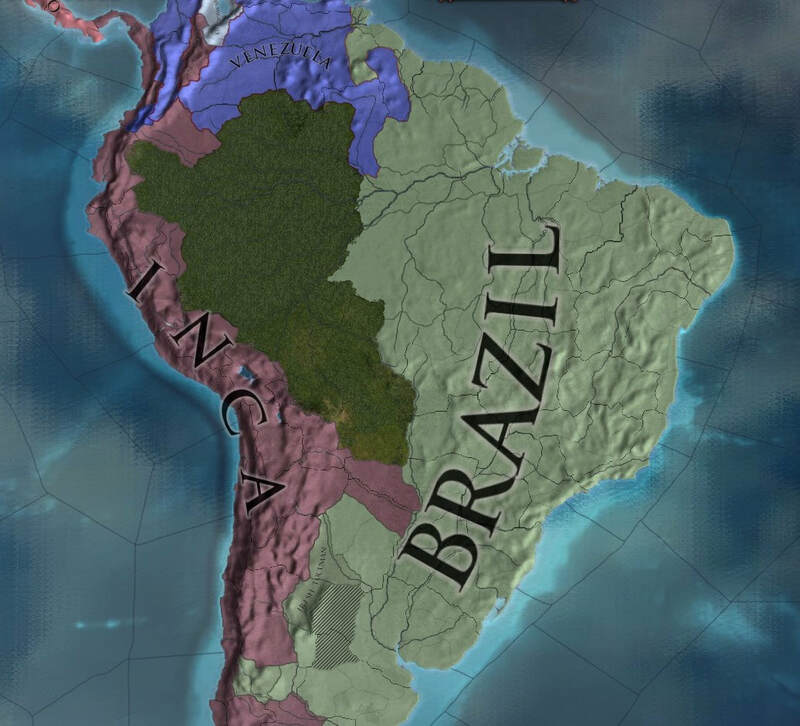 An Inti state that has 100 authority, is at peace, has positive stability, no rebel-controlled provinces, and owns at least 10 provinces can pass a religious reform. - Passing a reform will remove all their authority and spark a civil war as a pretender exploits the loss of authority to attempt to seize the throne for themselves. 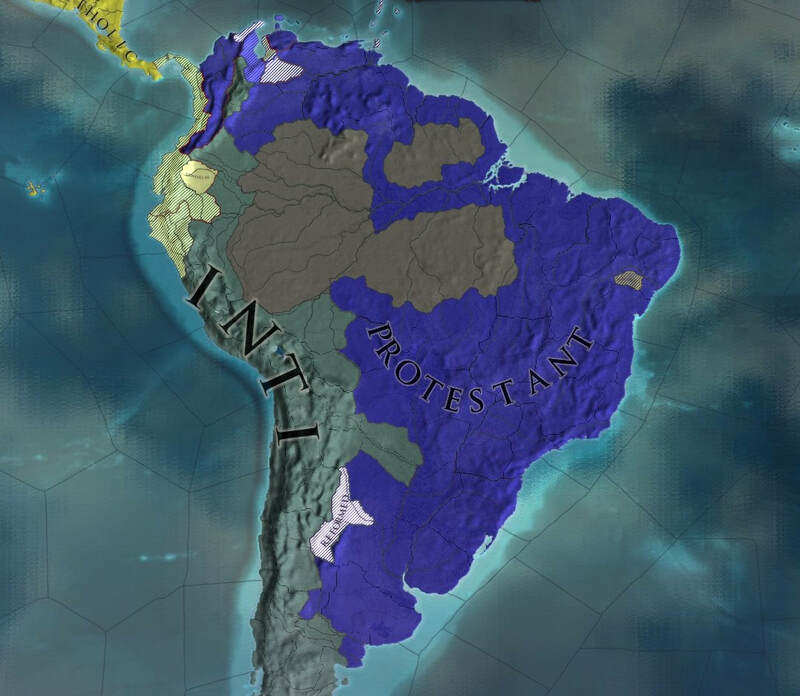 If these rebels enforce their demands, two religious reforms are lost. 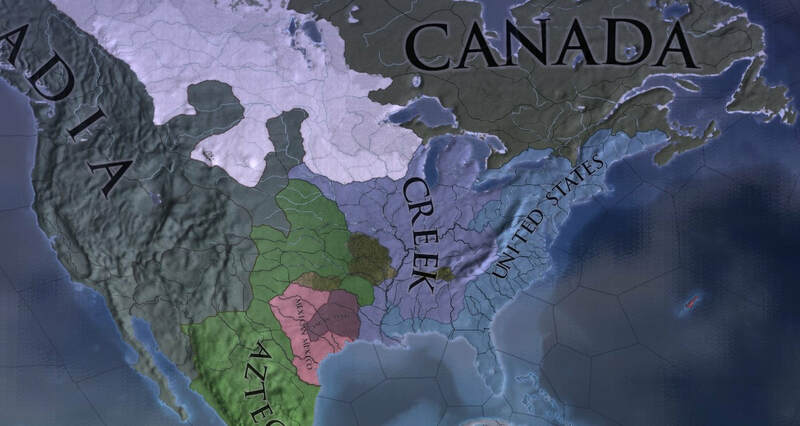 The diverse tribes of of the north have the most nascent civilizations and have not developed as far past the hunter-gatherer lifestyle as the other New World nations. With less population density comes less propensity for violent confrontation between neighbors, but also less of the human resources needed for the creation of powerful centralized nations. Conquering his rival tribes will provide obvious benefits towards a chief's creation of an influential nation, but a federation of smaller tribes could prove the most powerful resistance to foreign expansionism. Although doomed to fall behind in the race for technology, a skilled ruler can still prepare his tribe to learn quickly from encounters with new cultures. - Have access to the Native Idea chains. - May create Federations to combat expansionism from outside factions. - A single-province native nation may migrate to an unoccupied non-wasteland. - A nation that has all the Native ideas and a core province adjacent to a core province of a nation that has embraced Feudalism may reform their government, gaining 80% of their neighbors technology level, all their institutions. All Native Ideas and Native Buildings are lost.